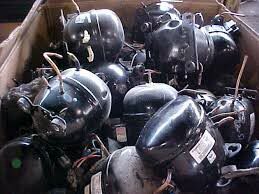 We are offering a wide range of Fridge Compressor Scrap to buyers in the domestic as well as international markets. Our Fridge Compressor Scrap is procured from reliable vendors who extract and process them at their ultra-modern manufacturing unit. It is liberated from free-flowing liquid or haz mat and any type of contamination. We are an eminent Fridge Compressor Scrap Exporter and Supplier from Thailand. We make available samples on buyer’s request. Also, we can process bulk orders as per demand.